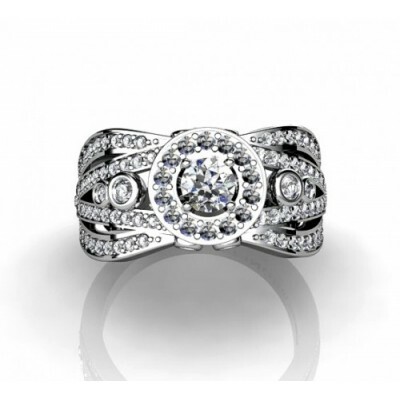 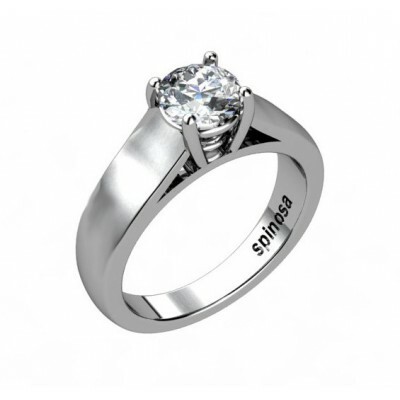 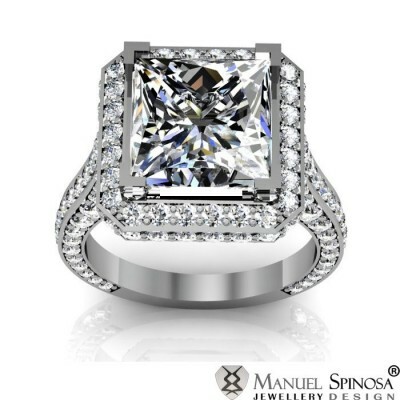 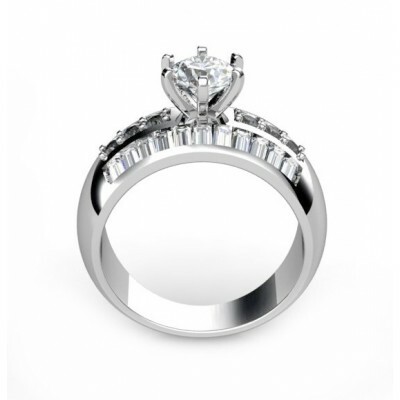 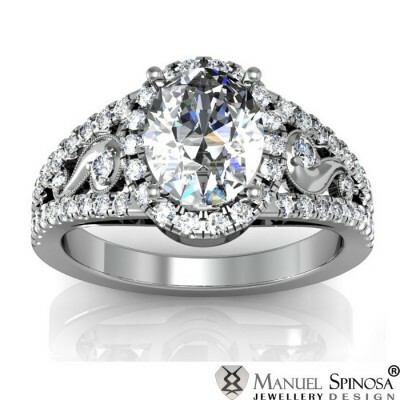 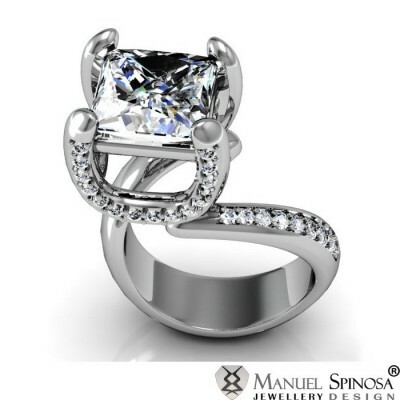 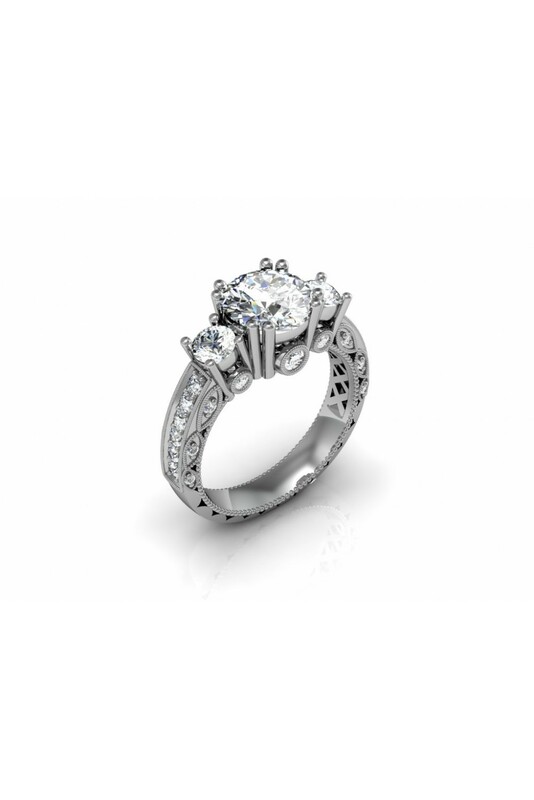 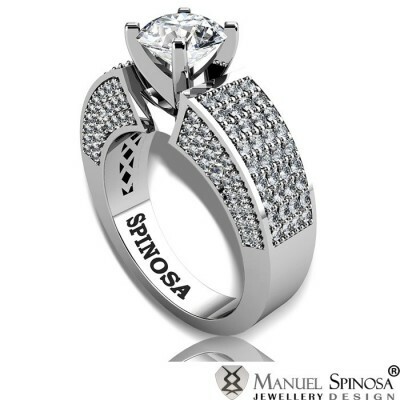 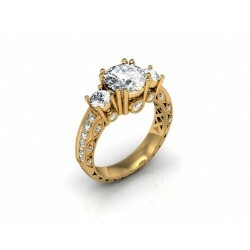 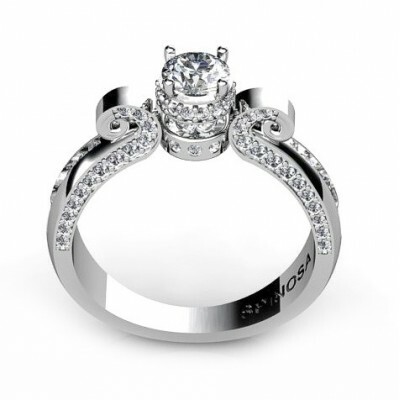 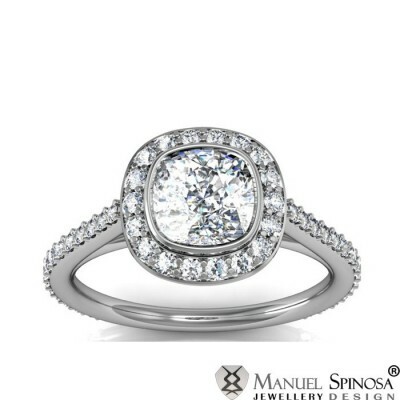 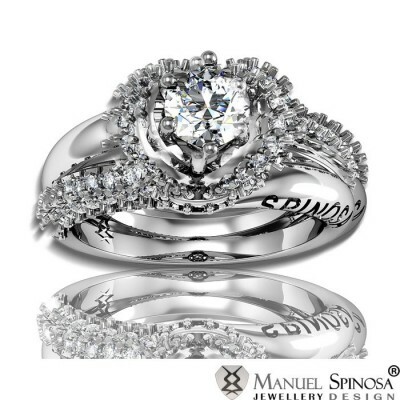 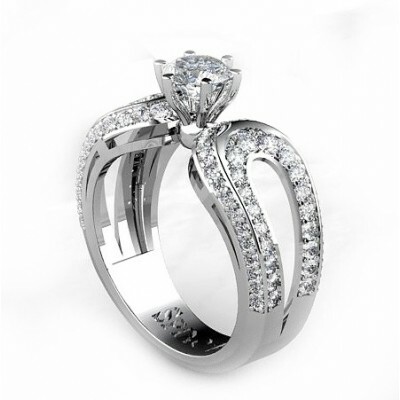 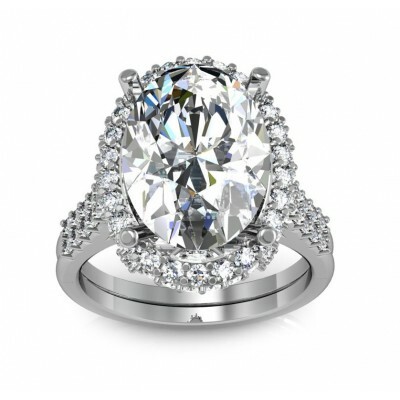 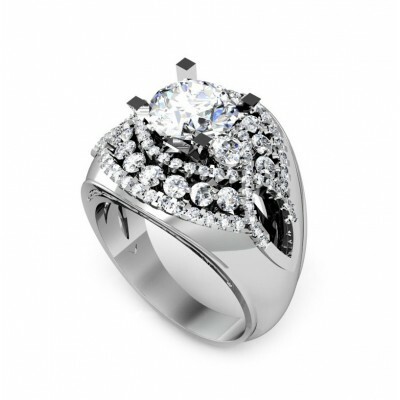 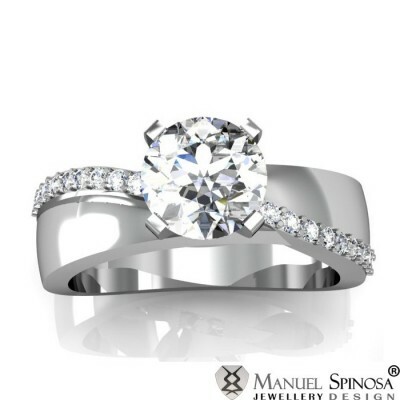 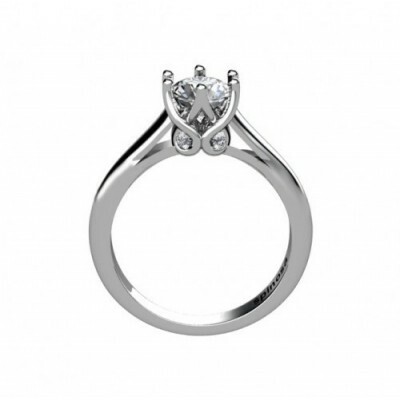 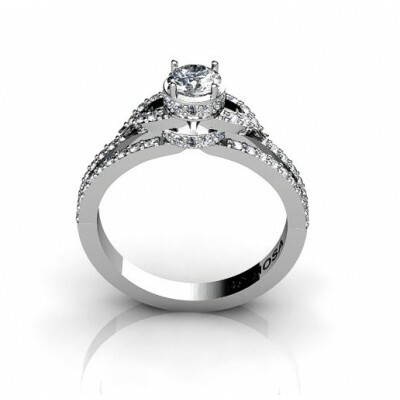 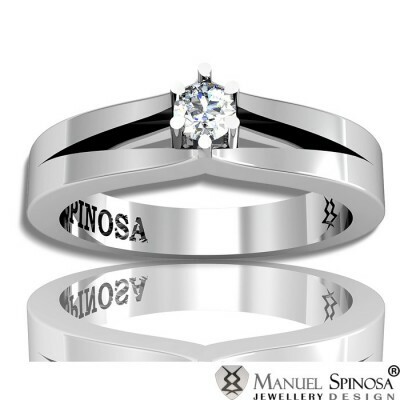 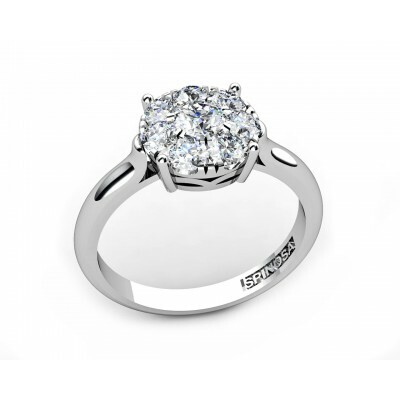 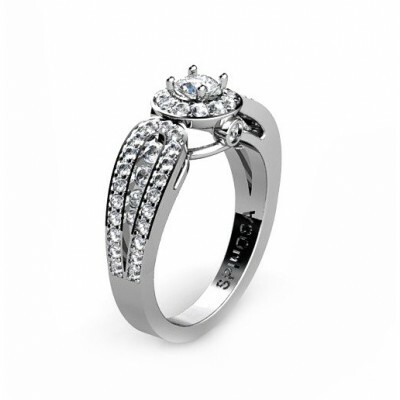 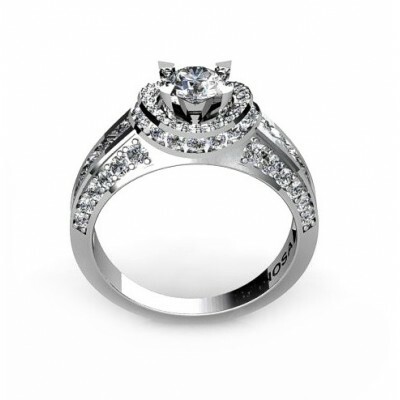 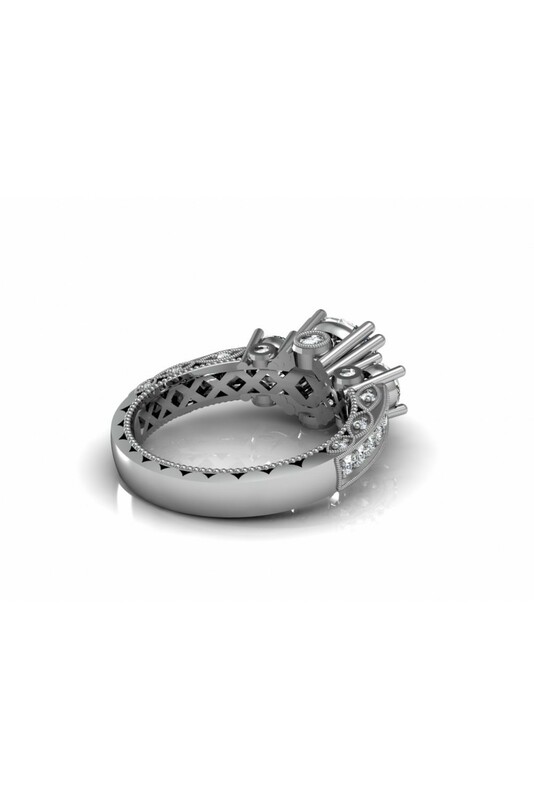 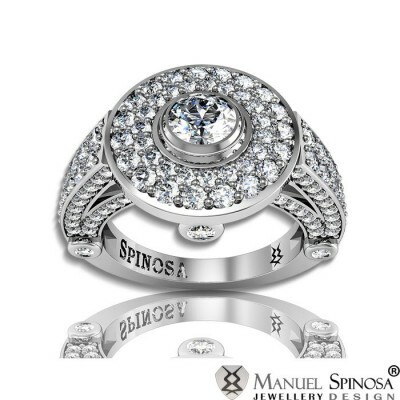 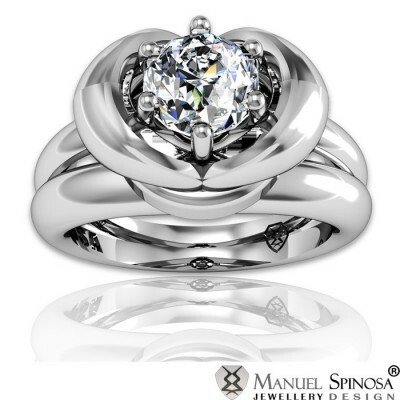 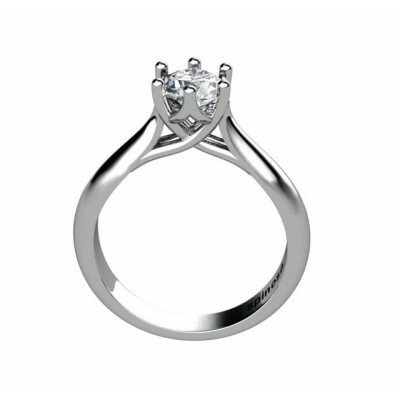 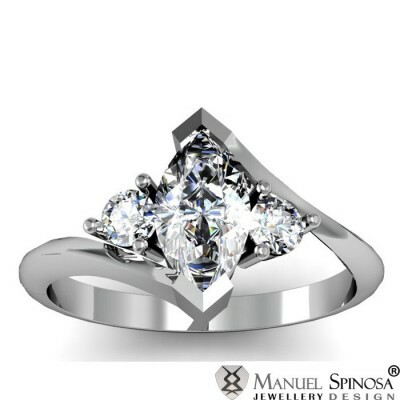 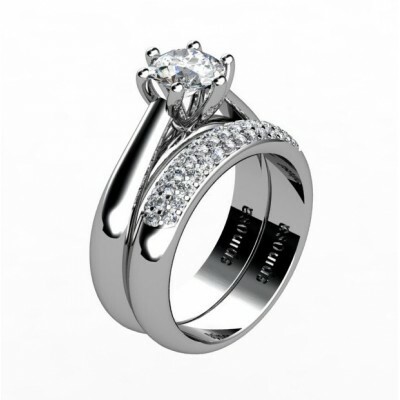 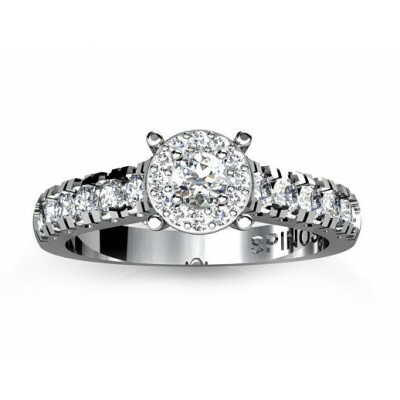 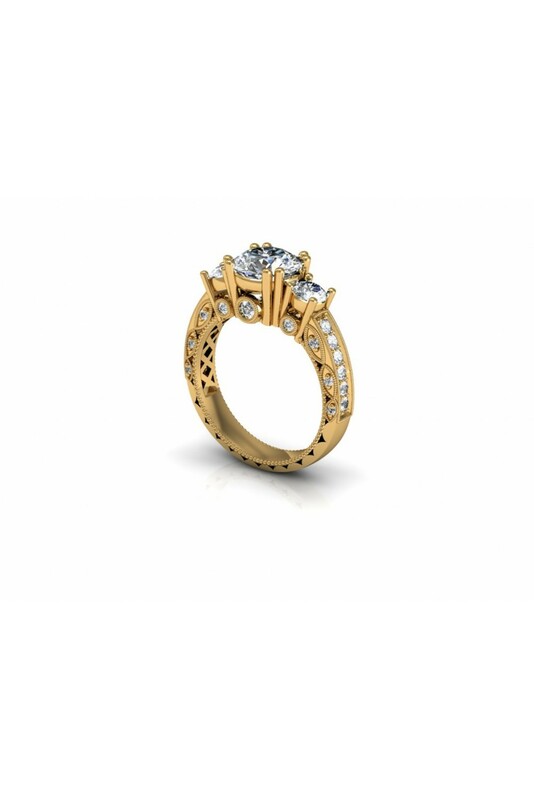 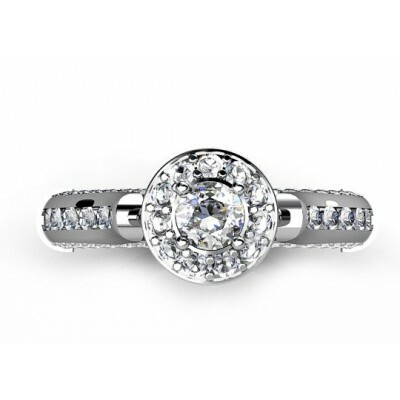 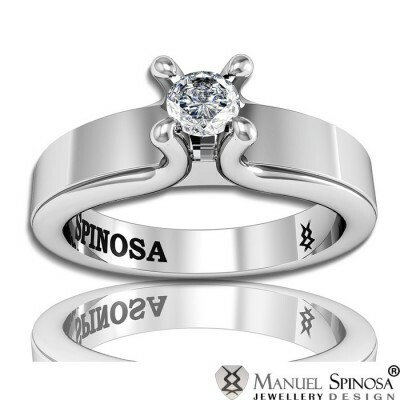 This is a dazzling 18k white gold engagement ring with 3 central diamonds which are secured by 6 claws. 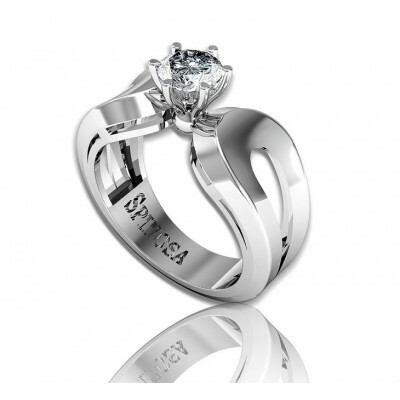 It has 14 brilliants and with a total of 0.45ct, HV-S quality. 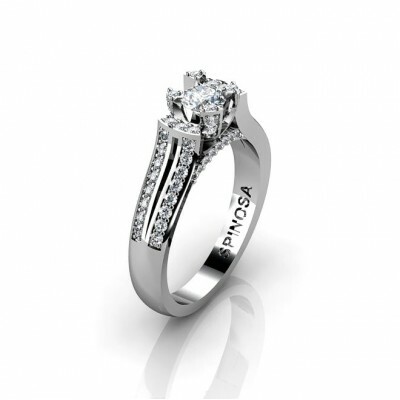 It has a sophisticated and a unique design as its underneath offers a semi-square look.